I was finally feeling like we may break through the long cold winter we’ve had. Usually, the first week of March our days are in the upper thirties and the nights in the teens. Our first few days our nights were around zero with low twenties for day time highs. They are forecasting thirties for the days and we’re approaching daylight savings. This is the time of year that I replace our smoke sensor batteries. I use black tape on the battery terminals because if the terminals touch a metal object, the battery could heat up and start on fire! Since we could see a break in the cold weather I had to celebrate with a glass of Chardonnay. 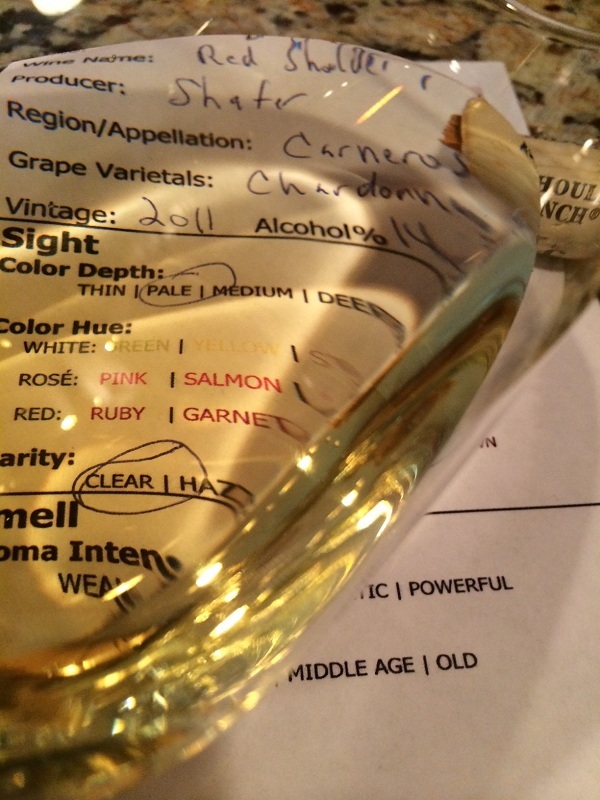 The Chardonnay looks pale with an amber hue. With a slight swirl, the Chardonnay is aromatic and fruity-young. I smelled buttery, creamy notes with crisp citrus like pear and lemon. The Chardonnay was slightly dry, medium bodied and a little tart. There were no notable tannins. It was soft and creamy with a slightly tart mouth feel. It was also crisp with a long finish. It was very flavorful. To be honest I feel $50 is pretty steep for the Red Should Ranch Chardonnay. I have had many chardonnay’s half the price that were just as good if not better. 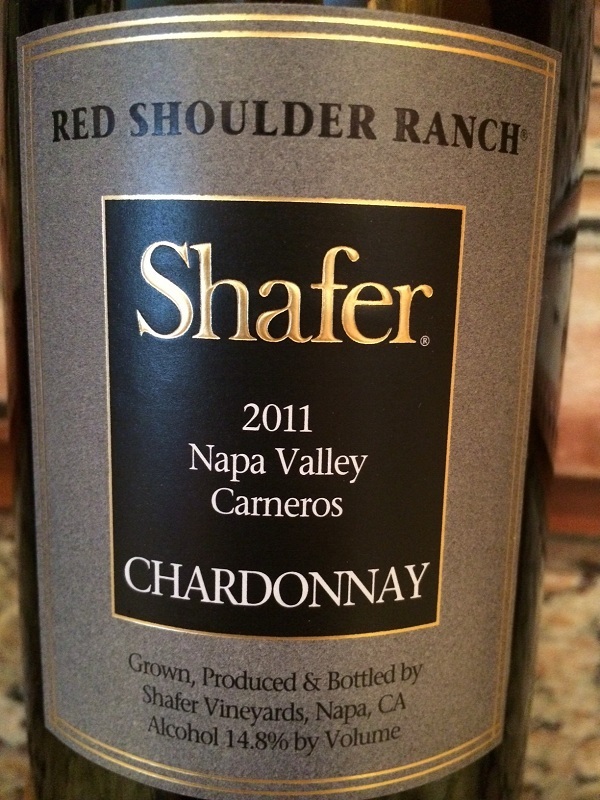 I rated the 2011 Shafer Red Shoulder Ranch Chardonnay three glasses.